If you’ve been to a wedding at the Canfield Casino or attended a corporate event at the Hall of Springs, you’ve experienced what Mazzone Hospitality does best: make parties tick. Whether it be enjoying their top-notch catering services or watching their staff work tirelessly in the background, you know that the event you’re attending is in good hands. No other business in the Capital Region is so entirely dedicated to customer service—and nails it every time. We recently talked to Mazzone Hospitality’s Chief Financial Officer, Matt Mazzone, about how he got into the business and what the best part of working at Mazzone is. The hospitality industry is in my blood…I grew up in it and can remember it being a big part of my life for a long time. I left the family business for a short time between 2000 and 2007, but what drew me back was the excitement you get taking care of a guest. Saratoga Springs is great because of the variety it offers…meaning there’s so much to do, so many different customers and venues to work with and a variety of seasons. What sets Mazzone apart from the other like-minded companies in the region? In a simple word, what sets Mazzone Hospitality apart—or allows us to deliver the difference for our customers—is the passion our employees have for what they do. 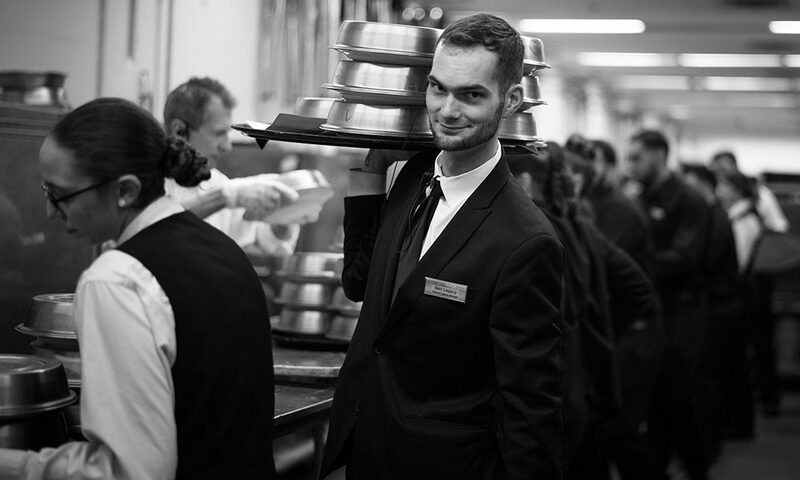 We have an amazing team that really enjoys what they do and gets excited about making guests’ experiences on their special day something to remember. What’s your favorite part of running and/or working at Mazzone? The best part of my job is when I can make an impact on the team. What excites me is watching a person join our company and seeing them grow. We have many people that started as servers that are now General Managers, and dishwashers that have become Executive Chefs. We’ve been a big part of the Saratoga dining and event scene for a long time and look forward to continuing to push the envelope for amazing events and innovative culinary delights. Events bring people together, and we want to be synonymous with bringing people together with good food, great service and hospitality.